There is no doubt that Sri Lanka should have more and more investors, paving the way for economic growth, but not at the cost of environment and its people. A country must have development that is sensitive to the concerns of its people. Therefore, the responsible authorities must strike a balance between environment and development. 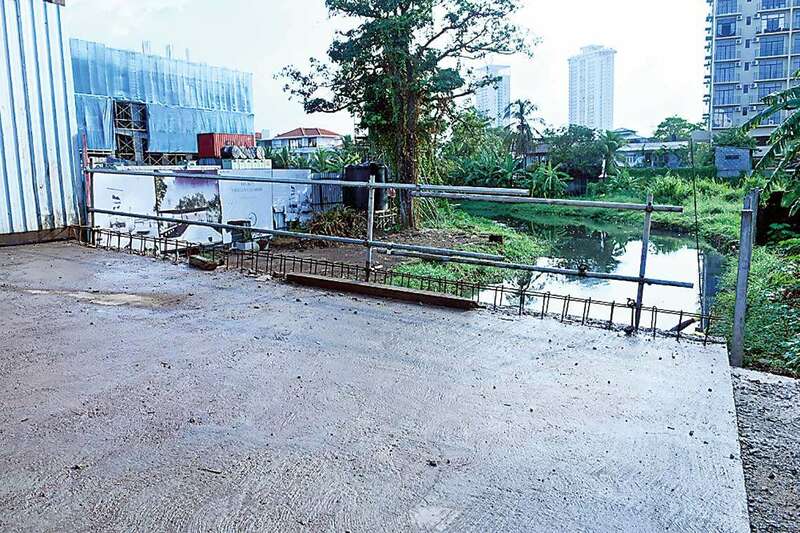 The Daily Mirror on September 13 published an Expose’ titled ‘Nuisance next door’ quoting a group of residents in Off Buthgamuwa Road, Rajagiriya who stated that an Indian property developer, Iconic Developments Private Limited, was allegedly involving in the illegal filling of a marsh, forcibly using a private road and building an unauthorised bridge as the main access to the company’s new super-luxury condominium project named ‘Iconic Galaxy’. 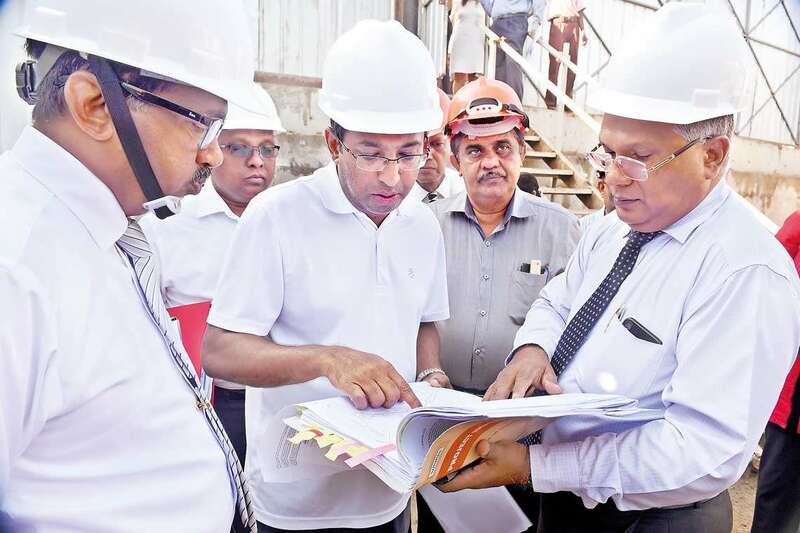 State Minister of National Policies and Economic Affairs Dr. Harsha De Silva intervened into the issue following the DM article and visited the controversial construction site two days after the article was published. After meeting with the affected residents, he organised a meeting with Sri Lanka Land Reclamation and Development Corporation (SLLRDC) Chairman Roshan Gunawardena and Municipal Commissioner of Sri Japura-Kotte Wasanthi Rathnapala. The meeting was held yesterday morning in keeping with the plans of the minister. 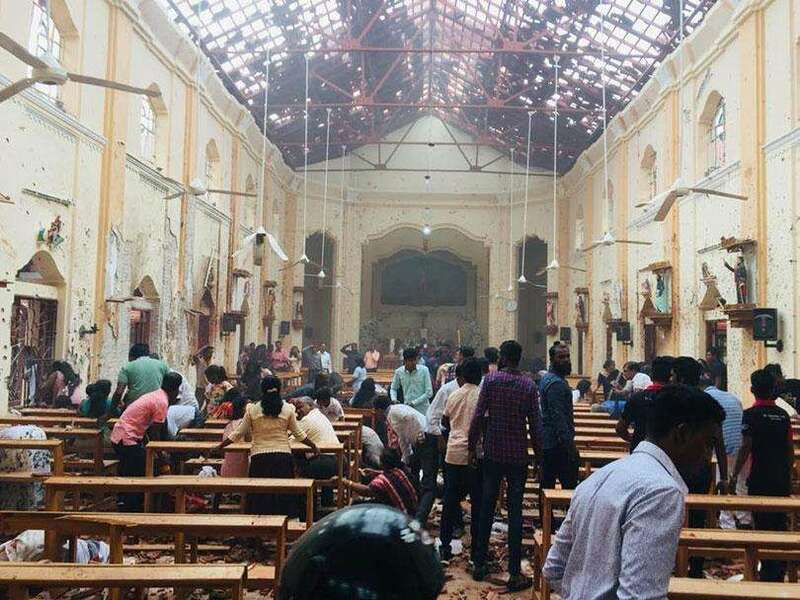 But despite having been asked to and been called more than ten times by Minister De Silva himself, the Commissioner of Sri Japura-Kotte Wasanthi Rathnapala could not be reached. The meeting was held with the presence of SLLRDC Chairman Roshan Gunawardena and officials of the Board of Investment (BOI). 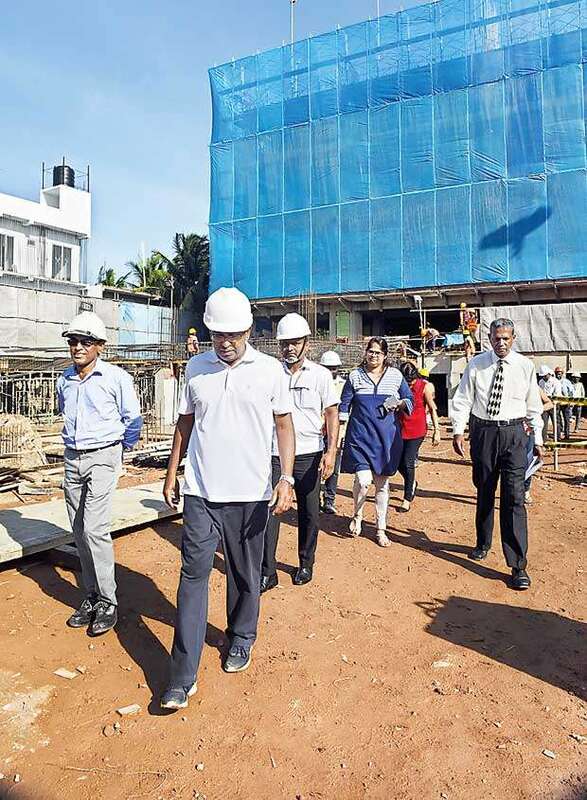 The residents, said that the officials along with the minister had gone inside the Iconic Galaxy construction site and even spoken to the representatives of Maga Company, the constructor. Residents provided documentary evidence to the effect that SLLRDC has authorised the developer to develop only 40% of the land area and has permitted to lay sea sand in the balance 60% of the area as a temporary measure to facilitate the movement of construction machinery and vehicles. However it was observed that the developer has allegedly violated this condition and filled the balance 60% of the area with earth. Construction workers admitted that sea sand was never used. 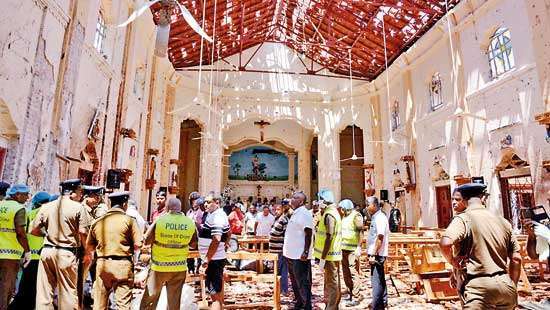 It was revealed at a meeting chaired by the Adviser to Ministry of National Policies & Economic Affairs R.Paskaralingam, that officials have provided information to the effect that the Developer has removed temporary filling in 60% of the area. 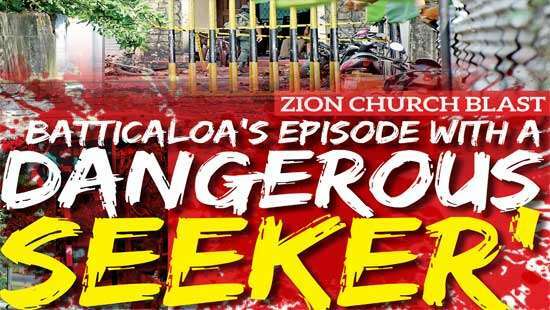 However Minister Silva observed that this information was untrue. Residents pointed out that at the first instance that the requirement of temporary filling to facilitate the movement of construction vehicles and machinery was necessary as the ground was marshy and had a soft surface. But now the status quo has been changed due to the filling with earth and subsequent compression. 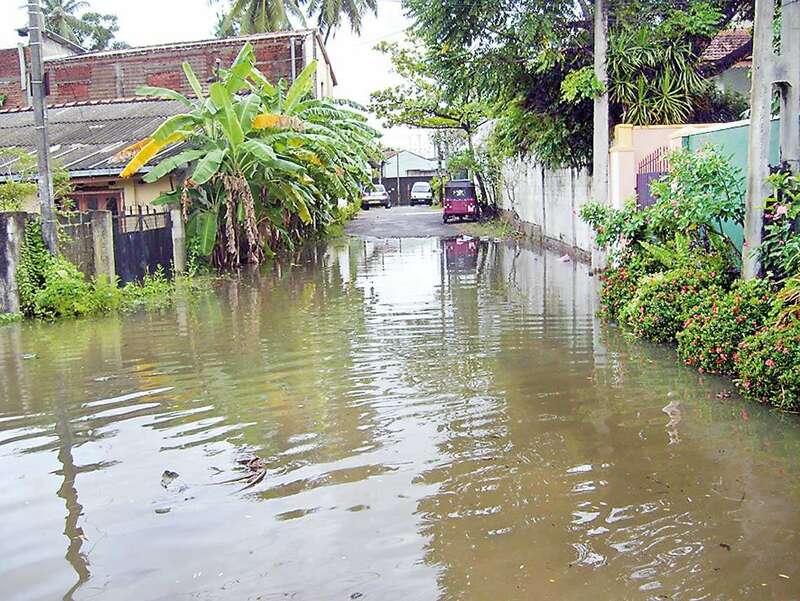 Residents stated that the status of the land should be brought back to the original status and warned that if increased there would be a threat of flooding, which they said should be avoided. Residents pointed out that this area was a marshy land before filling and was a designated flood water retention area. As a result of filling with earth and due to the weight of construction machinery, the earth has been compressed. This they say has lessened the earth’s capacity to absorb a great volume of flood water, hence increasing the threat of floods in the area. The Minister mentioned that if he had not intervened and arranged this site visit, these violations would have gone unnoticed and been ignored by officials. Although an official of the SLLRDC initially denied having given permission to construct a bridge, subsequent to residents providing a copy of a letter signed by GM of SLLRDC confirming that permission was granted for a bridge at the planning committee held on 7th Dec 2011, officials of SLLRDC admitted having granted approval for it. Residents questioned as to who approved the design of the bridge because what the developer is constructing is not a bridge, but a massive ramp; which stretched from one side of the canal right up to their building. This goes over the canal and canal reservation. It was further pointed out that if the design of the ramp was approved by SLLRDC, only residents of Iconic project would be able to use the bridge and that the residents’ right of way into the area and to cross the canal would be denied. Further it was pointed out that if this design had been approved, it would have effectively conceded the canal and canal reservation to a private Indian company. The minister mentioned that this had to be the only bridge of this kind in Sri Lanka. Road public or private ? A copy of the gazette notification number 1626 dated 30th October 2009 was submitted by the residents and the Minister and the officials physically inspected the boundary limit specified in the gazette as a municipal road. It was established that the road gazetted as a municipal road in the above gazette is not the access road from Buthgamuwa Road to the Iconic site, but only a by-road from this road. Both officials of BOI and SLLRDC mentioned that they have been misled to believe that access road from Buthgamuwa Road to Iconic site is from a municipal road, but now they understand that this is a private road. The minister mentioned that officials responsible for providing incorrect information should be dealt with as per the law. 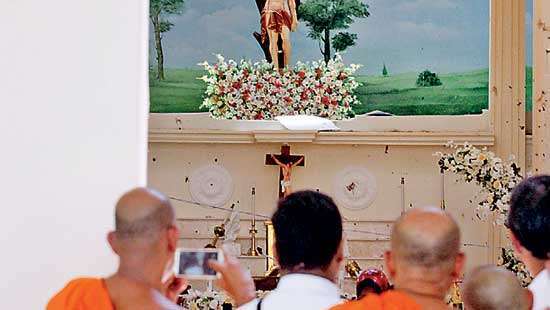 “It appears that even the developer has been misled by officials.” Minister de Silva stated. Residents provided documentary evidence to the effect that this road is a 22 ft road as approved by the Kotte MC and all residences have development plans approved by the Kotte MC. The minister mentioned that although these type of projects should go through the Development Council, which he co chaired, this project never came to the council. Hence he instructed the Chairman of SLLRDC and officials present from BOI to arrange a meeting as at the earliest, which should include officials from other relevant Government agencies, and ensure that development takes place as per the laws and regulations. He said that he is fully supportive of development, but strictly within laws and regulations and neither the residents nor developers should violate them. He said that the biggest issue is the threat of flooding due to filling the land and the other issues are the bridge and ensuring rights of residents of a private road. He instructed the officials to find solutions for these issues. Residents of a parallel lane complained to the Minister that their houses had been damaged due to piling and construction activities related to this project and the Minister instructed the officials from BOI to look into their grievances. One of the residents, Col. Retd. Vikum Siriwardana expressing his gratitude to the minister said yesterday’s scenario, where the minister mediated in the issue to bring about a fair solution to both parties was a very rare occurrence, in a country where the majority of so called people’s representatives confine themselves to talking and could be easily influenced by powerful and wealthy. “An MP, who really cares for his people, stood for justice and fair play at any cost. His unwavering commitment to ensure laws and regulations are strictly adhered to by everyone and his willingness to stand up to high-ups in his own Government to ensure the rights of ordinary citizens is an example to others. Thank you Dr Harsha De Silva. I am sure violations of regulations exposed this morning would be rectified and disciplinary action would be initiated against public officials responsible for corruption and negligence of their duties,” he said. Yesterday at a presser, Iconic's Head Rohan Parikh openly challenged any reporter to find iota of the truth in the allegations against them. The same DM reporter has on the following day of his challenge has unearthed the lies and violations. Bravo Daily Mirror. Kudos to DM and this journalist first of all. Bravo to Dr. de Silva. I am not a supporter of any party but I am a patriot who loves Sri Lanka. Please residents, make full use of this opportunity to set a precedent so others can follow.